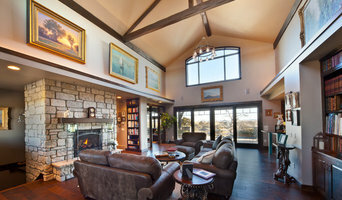 25 years of experience as a licensed architect designing custom residential homes, commercial. Simonsen Architect was started in 2018 to help Clients envision and realize inspiring spaces. Utilizing years of experience on small to large and complex projects, the firm is focused on client centered service, utilizing extensive construction knowledge, bringing creativity to the design process and implementing high performance practices to realize comfort, beauty and efficiency to the places we create. We invite you to take a look at some of our completed projects and we hope you will keep us in mind when you are ready to launch the design process to realize a space that inspires you every day! Quality architecture combines aesthetic appeal with practical efficiency to provide a space tailored to the unique lifestyle of its occupants. 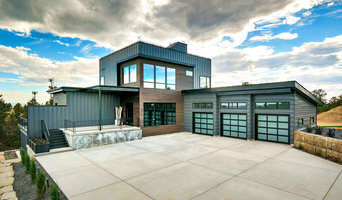 Studio 4 Architects, with locations in Billings and Bozeman, dedicates itself to producing this quality at a fair price. Whether commercial or residential, Studio 4 employs creative thinking to design a distinct, timeless structure that compliments the surrounding landscape and exceeds the client's expectations. Studio 4 architects believes a site's topography and natural features to be as important as a structure's interior layout and strives to form a seamless relationship between the landscape, the building and the people residing within it. Every structure changes the landscape of a place. Studio 4 finds intelligent, artistic cost-efficient methods of integrating the building into its site, so that whether you are walking from the lobby to the front walk, or your living room onto the patio, the effect is a natural transition from inside to outside. All architecture begins with the vision of the client. Studio 4 values that vision above all else and gives full attention to the smallest of details. From the design process to the finishing touches of construction, Studio 4 works closely with its clients to ensure their visions' manifestation. Feel free to reach out to us, we would love to hear from you! Passion for design is what drives us, the success of our work truly comes from the collaboration that we have with our clients. We pride ourselves in the ability to create great design work that reflects the style and tastes of our clients. Whether it be contemporary, rustic, or traditional; we have the team capable of creating unique and enduring homes. SERVICES PROVIDED Collaborative Design Architects specializes in full architectural design services on a vast array of projects. These archetypes include custom residential projects, remodels/ additions, commercial buildings, civic structures, and master planning/development projects. Arch.406 is the sister company to Collaborative. It is the "design-build" extension of our firm and was set up so that we could manage and build the projects that we were creating. At ARCH.406 we hand select the most talented subcontractors and material suppliers in our area to work on your project. Budget is a key component to the success of a project, but costs should not be the lone driving factor when making decisions on your design. Working through ARCH.406 allows us the opportunity to balance the design, budget and schedule on our residential works. Nick Pancheau, AIA is a Principal Architect for Collaborative Design Architects; he is also a partner in the Architect-Led, Design-Build company ARCH406. EEC is a firm built of professional architects, engineers, surveyors, and builders who design and construct both commercial and residential projects. As a multidisciplinary firm EEC offers the most effective balance of value and aesthetic appeal to create a beautiful home within your budget. The name Response Design was generated from our belief that in order for architecture to have significance it must respond its people, place, and time. First and foremost our mission is to provide the highest level of service. We want to get to know our clients and wrap the home around their distinct lifestyle. In addition to the hopes and dreams our clients we draw our inspiration from the home's site. By responding to the movement of the sun, prevailing winds, and topography we create spaces that are comfortable and custom suited for their unique place and use. Alex Wright is the Interior Designer & an Architect in Training for Collaborative Design Architects in Billings, Montana. At High Plains Architects, we uphold our mission to serve and inspire our clients, community, heritage, and environment by designing innovative, cost-effective, high-performance buildings in every project we design. 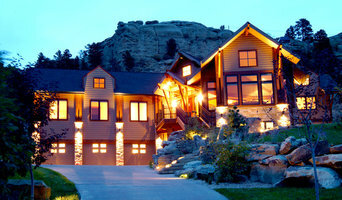 High Plains is a full service architecture firm based in the high plains of Montana. For over a decade, Principal Randy Hafer and the rest of the High Plains team have provided customized design for our clients, emphasizing sustainability, preservation and restoration, and urban revitalization. High Plains strives to create buildings that endure through thoughtful understanding of our clients' needs and awareness of the surrounding landscape. We make sustainable attainable and have defined ‘Urban Rustic’ as the careful balance between innovation and preservation. While based in Montana, our team has lived, worked and studied across the country (as well as abroad), from the East Coast to Chicago to the San Francisco Bay Area, and throughout the Greater Yellowstone region. Expertise & Services Drawing upon decades of experience, High Plains Architects works on projects ranging from residential to commercial, from civic and educational to industrial. Our capability ranges from individual residential to multi-family and mixed-use, multi-story structures. We have designed educational facilities, as well as banks, offices, restaurants, retail spaces, grocery stores, hardware stores, fitness centers, breweries, theaters, and recreation facilities. In short, our full-service architectural design experience is varied and far ranging. We are always excited to discuss project ideas with our clients, which is why we offer free consultations to all new clients. 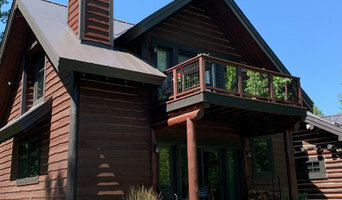 No matter what type of building we are designing, High Plains has consistently put its sustainable design values into practice, resulting in projects that are unsurpassed in the region in energy efficiency, water efficiency, use of salvaged and other green materials, and through the use of renewable energy sources. Additionally, High Plains is well versed in the varied demands of historic preservation and historically sensitive design. High Plains has worked on many significant rehabilitation projects, which have contributed considerably to the overall revitalization of downtown cores. Unbound Architecture offers quality work, creativity and experience. Spectrum’s connection to each client is based on an understanding of their individual needs, goals, and aspirations; our work is inspired from our client’s dreams. Our projects become an extension of their community. This is revealed through our design solutions to help create improved staff spaces which promote efficiency, design creative 21st Century Learning Environments, enhance spiritual spaces for congregations, or create custom and personal spaces for individual families. Spectrum’s projects have a positive and significant impact on the users and their communities. Our diversity, in the areas of clients, project types, and markets, opens up new opportunities, aspects, and design possibilities for clients. Our broad range of expertise, as well as our steadfast commitment to design excellence, innovation, and sustainability, enables Spectrum to conceive creative design solutions while providing insightful perspective for today’s complex design projects. The Spectrum team offers our clients the most progressive resources for their projects; this positively influences the public, their communities, and the project’s success. Dennis Deppmeier began his architectural career as a third year architecture student mentoring under Jonathan Foote, AIA in Livingston, Montana. This early exposure to recycled wood ranch projects nestled in pristine mountain sites throughout Montana and Wyoming informed Dennis in his own professional development, underlying the need to develop an appropriate design response that is sensitive to “place” and is authentic. In 1988, Dennis joined A&E Architects, P.C. where he work for 24 years until retiring his stock as Vice President and co-managing partner of the firm. Comfortable working with both contemporary and historical design, Dennis developed a diverse specialty for historic preservation, ranch development, high-end residential, and unique corporate and institutional project types. Dennis formed 2north, P.C. in March 2012 with the desire to re-engage intellectually with the design and process challenges facing smaller to medium size project types and demands, and to be able to “finish well” by dedicating time and resources to non-traditional charitable causes. AT Architecture is a firm with great individuals committed to making your dream project become reality. We are a service oriented firm who strive to make the process of design and construction a great experience. We work with all contractors and a variety of clients and do our best to make these relationships good to great. Our experience is deep and covers most building types. Some of building types are churches, offices, industrial, retail, warehouse, residential (multi and single-family), medical, aquatic, recreational, and restaurant. Construction types vary from wood, steel, ICFs, SIPs, metal buildings, masonry to tilt-up concrete. We have experience working with sustainable materials and energy efficient designs (now called 'green'). Delivery types that we have been involved in include conventional design/bid/build, design/build, construction management, negotiated bid and denominational builders. How do I find the best Ballantine architect for my home design project? It is best to hire a home architect who will be involved in all phases of the design process, from the initial concept to the completed construction. The architect is often the first person you will hire for your project. If necessary, they might also help you select and hire Montana subcontractors, which can include the builders, engineers and landscaper. Interior architects are also involved in negotiating contracts for all involved participants. It is for these reasons that it is extremely important for you to have a good relationship with the Ballantine residential architect you hire. He or she can be the tie-breaking vote between you and the general contractor and can be your biggest advocate during the construction process. Different architecture firms in Ballantine, MT provide different services, so the scope of the work can span from pre-design environmental impact studies to selecting furniture and finishes, depending on what your specific needs are. It is very important to hire the right professional for the job. Remember that the most well-known or established designer might not provide the best architectural services for your needs. It all comes down to the individual project. Research and ask people whose work you like for recommendations. It's important to have somewhat of an idea of the style of house architecture that you prefer, as well as the amount you would like to spend. Residential architects in Ballantine, MT are natural problem solvers. They will assess the entire situation and help you to solve your problems too. Don't settle for a single company too early. Call and interview a few. Make sure that you feel like your personalities will mesh well and that you like their professional perspective. Find a home architect in Ballantine, MT on Houzz. Narrow your search in the Professionals section of the website to Ballantine architects. You may also look through photos of Montana projects to find interior architects and building designers who have worked on a project similar to yours.